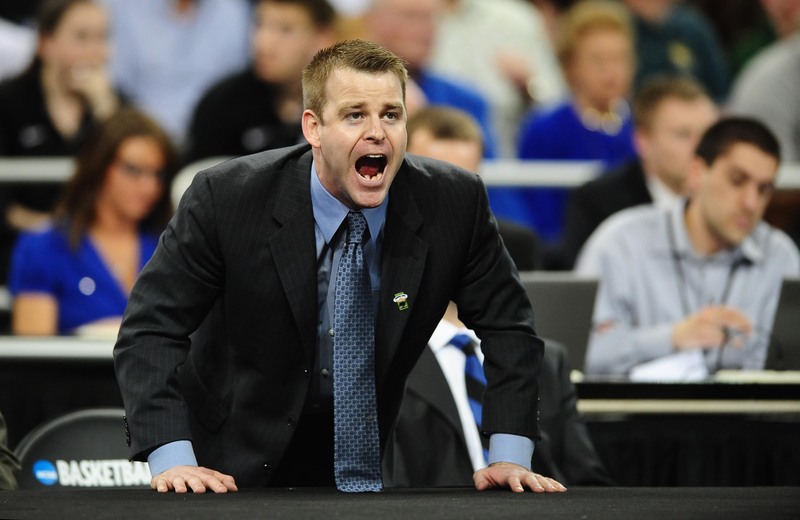 Sources told Yahoo Sports’ Adrian Wojnarowski that Duke assistant Steve Wojciechowski “has emerged as a target” for the head coaching vacancy at Marquette. ESPN’s Jeff Goodman also confirmed the report. The Golden Eagles struck out on their attempt to reel in VCU head coach Shaka Smart last week, while former UCLA head coach Ben Howland, Tennessee’s Cuonzo Martin and Green Bay’s Brian Wardle have been linked to the opening left by Buzz Williams, who accepted the Virginia Tech job two weeks ago. Krzyzewski’s coaching tree includes names such as Mike Brey (Notre Dame), Johnny Dawkins (Stanford), Tommy Amaker (Harvard), Jeff Capel (formerly Oklahoma) and Chris Collins (Northwestern). Collins took over the Wildcats this past season and led them to a 14-18 record, and Wojnarowski included in his report that “Marquette has been impressed with the impact” Collins had in Year 1 in Evanston. ← Cuonzo Martin a candidate at Marquette; is he a good fit?